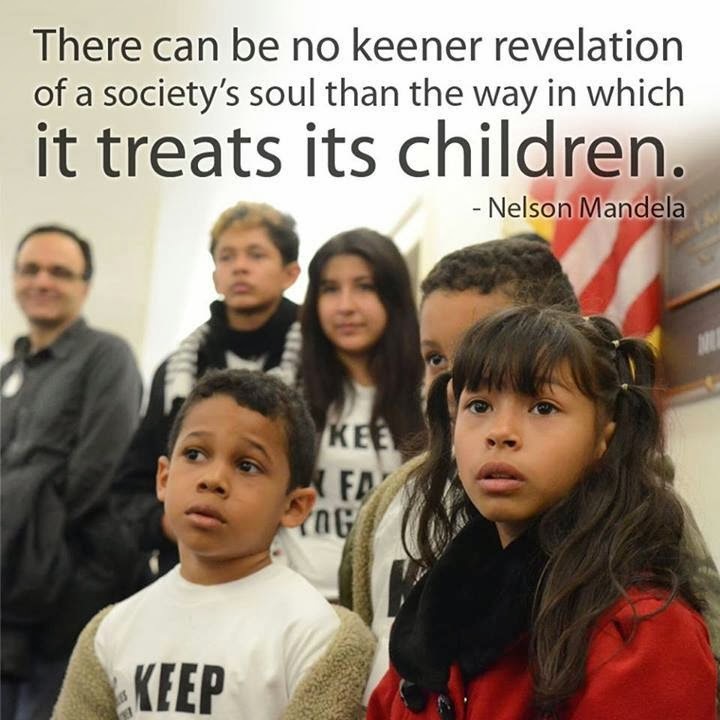 America’s future depends upon the education and care of all its children. Today’s high school graduates will be our leaders in 2040. Today’s kindergartners will be the policy-makers of 2060. Will those adults – today’s children – be ready to take the reins of government and policy-making? Or will they be living in a dying nation, wallowing in fear and ignorance? Our national behavior today must be one of “paying it forward,” or our children, grandchildren, and great-grandchildren will suffer the consequences. Are You Going to Educate the Children of This Nation or Not? What would it take to truly educate America’s children? The proposed Senate GOP health care plan will cause emotional and physical shock for children in public schools. 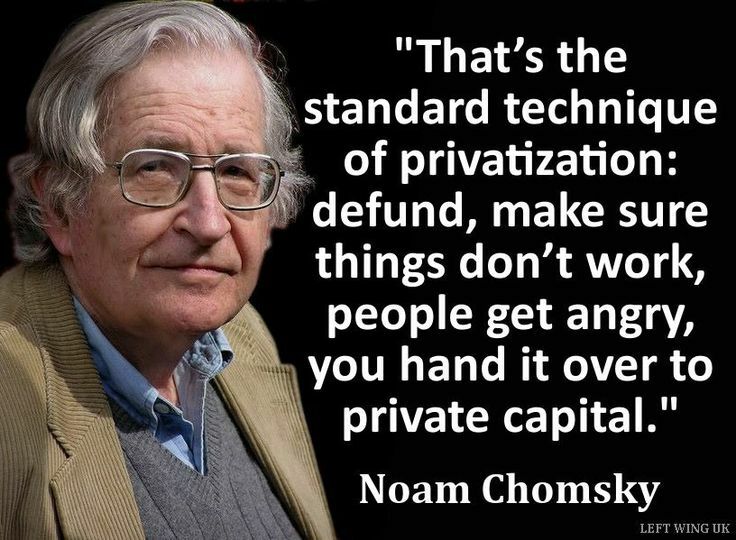 When that happens, perhaps the government will succumb to political pressure and turn public education over to the private sector in a perfect scenario of the Shock Doctrine. If that happens, prepare to see schools provide inadequate support for “unprofitable” children. For the past three decades, Medicaid has helped pay for services and equipment that schools provide to special-education students, as well as school-based health screening and treatment for children from low-income families. Now, educators are warning that the GOP push to shrink Medicaid spending will strip schools of what a national superintendents association estimates at up to $4 billion per year. That money pays for nurses, social workers, physical, occupational and speech therapists and medical equipment like walkers and wheelchairs. It also pays for preventive and comprehensive health services for poor children, including immunizations, screening for hearing and vision problems and management of chronic conditions like asthma and diabetes. The loss of funding proposed in both the Republican budget and “health care” bill, is a purposeful destruction of the safety net for our neediest children. Fleming County [Ky] Schools Superintendent Brian Creasman was taken aback when he discovered the bill would make cuts that could devastate his ability to provide health services to needy and disabled kids. Here in rural Kentucky, the heart of Trump country where three out of four voters cast ballots for Donald Trump and many regard McConnell as their political protector, Creasman initially thought the bill’s potential cuts to school districts must be a misunderstanding. Vouchers don’t help children succeed. They are part of the plan to defund and destroy public education. U.S. Secretary of Education DeVos is fond of saying that parents should choose the “best fit” for their children. However, when the “best fit” doesn’t support the public good, then public funds ought not to be used. You are welcome to choose a religious education for your child. In the Notes on the state of Virginia, Jefferson wrote, “it does me no injury for my neighbour to say there are twenty gods, or no God. It neither picks my pocket nor breaks my leg.” There is a place for parochial education in the U.S. 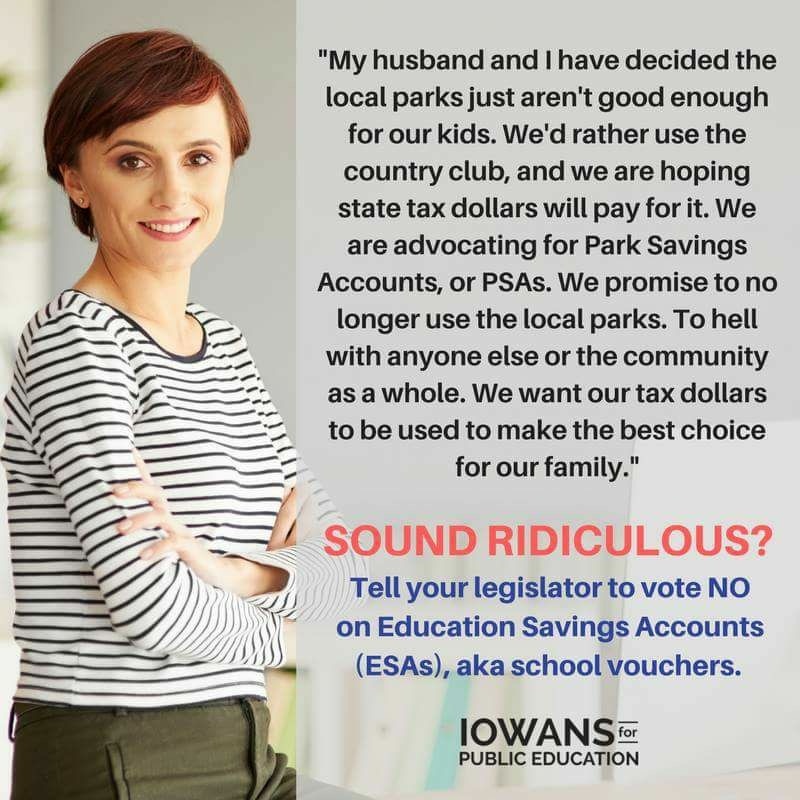 When tax dollars are used to pay for a parochial education, however, it does pick my pocket, and ought to be prohibited. 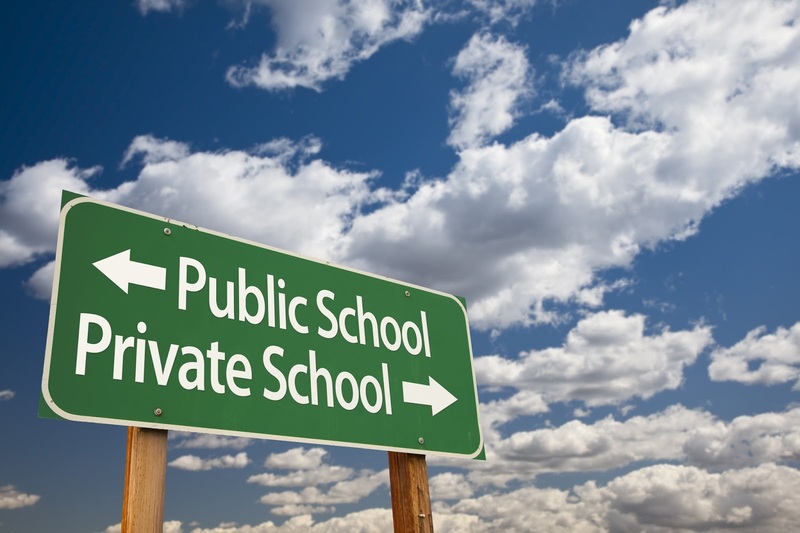 “This study confirms what many have suspected – private school vouchers are not a solution to helping kids succeed in school,” Indiana State Teachers Association President Teresa Meredith said. But advocates of the program say it’s not just about academics, it’s about a parent’s choice to pick the proper educational environment for their child. Attending school does not make one an educational professional. 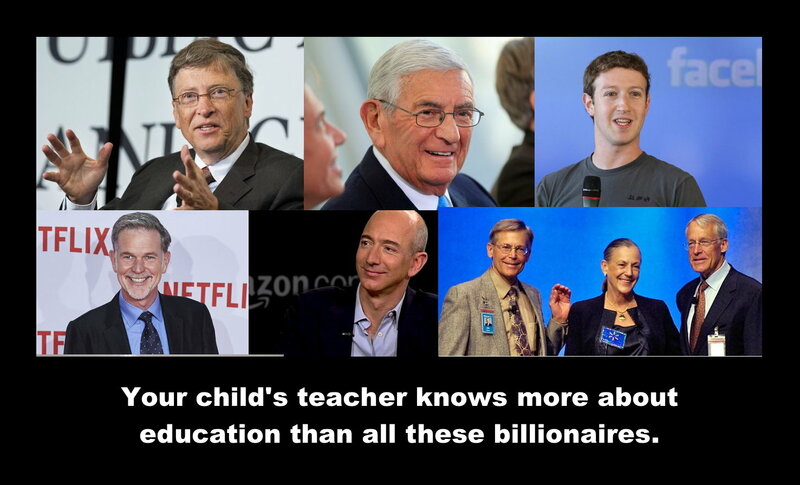 Billions of dollars of personal wealth does not give one experience teaching children. Buying influence and political power does not help one understand child development. Teaching children, and learning about learning, takes more than a fat wallet. This intellectual arrogance has never been demonstrated more clearly than in recent pronouncements concerning education in America. Brilliant people in diverse fields outside of education feel perfectly comfortable making judgments and policy recommendations about education that impacts millions of students as well as educational professionals. Their audacity is appalling and their ignorance is inexcusable. Bill Gates and his wife Melinda have announced their goal to prepare 80 percent of American high school students for entrance into universities. Eli Broad, another billionaire, gives money to school districts with the clear expectation that they will implement his business-based plans. Alan Bersin, a US Attorney political appointee, believed high school students would learn best with three hours a day of genre studies. He imposed this policy by threatening termination of educational professionals who disagreed with him. Similarly, mayors have their own ideas about how to improve student achievement, notably without any substantive research to support them. George Bush’s No Child Left Behind policy used testing to determine the success of schools, however testing in itself, has not provided solutions to educational achievement. Arne Duncan and President Obama pushed merit pay and charter schools when substantive research does not support either of these policy initiatives. Trump’s DeVos hasn’t a clue about educational research as her feeble efforts have ably demonstrated. The advocacy for these already repudiated initiatives reflects a lack of understanding of the ultimate impact on students and educational professionals. Just another money grab by rich technocrats. Personal learning entails working with each child to create projects of intellectual discovery that reflect his or her unique needs and interests. It requires the presence of a caring teacher who knows each child well. Personalized learning entails adjusting the difficulty level of prefabricated skills-based exercises based on students’ test scores. It requires the purchase of software from one of those companies that can afford full-page ads in Education Week.